Buy your ice melt before the first winter storm. This winter tip is easy. 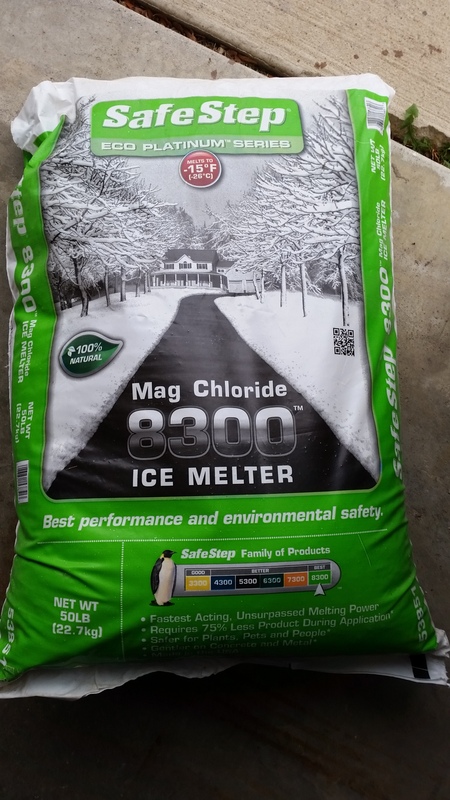 Purchase your ice melt before the first winter storm because it could be coming soon. Pictured here is a bag of Magnesium Chloride. This will effectively melt snow down to -13F. You can also buy regular rock salt (Sodium Chloride) which will be less expensive. This would be the blue bag of water softener salt. This is a cheaper option, but will only melt down to 16F or so. Ice melt is typically available at all the big box stores and hardware stores in your area. The secret is to have some when you need it.No matter what, you’ll be a winner if you buy your ice melt before the first winter storm. You remember what the old Boy Scout motto is don’t you? Visit our Facebook page and other social media to get periodic tips, advice and entertaining pictures of stuff we see in our daily adventures.